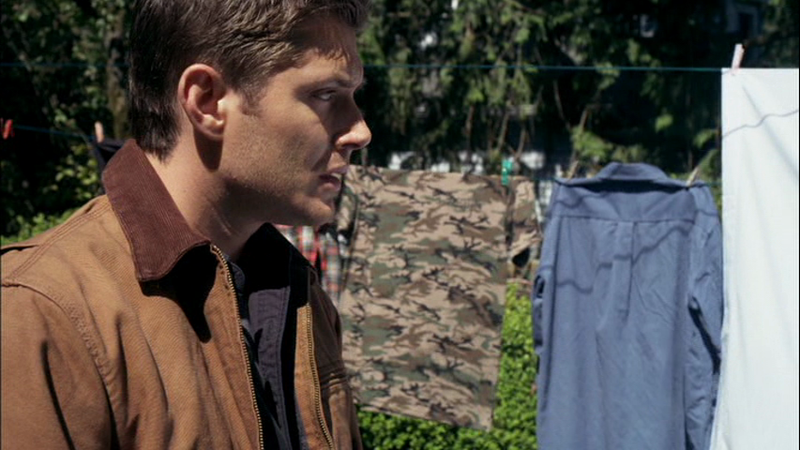 Dean must miss Sam, because he’s buying clothes that remind me of him. Also, he’s buying clothes that look like the ones Sam is currently wearing without even knowing it (see Sam’s Blue Jacket). This jacket is light brown canvas type-material with a corduroy dark brown collar. It has a single seamless breast pocket that does up with a zipper. It has two lower pockets, also seamless, that also do up with zippers. The whole jacket itself does up with a zipper as well. Brand Information: Carhartt (with label removed). 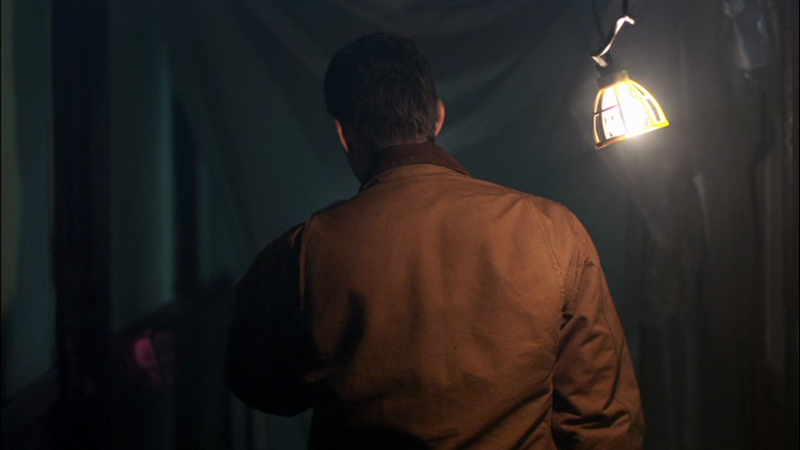 In Exile on Main St. (6x01), this coat makes its debut, which means that Dean bought it at some point during his year without Sam. He wears it to work, and out to beers with Sid (though he takes it off inside). He doesn’t wear it inside his own house while he checks up on missing persons. He wears it again when he accidentally hunts the yorkie, but Sam takes it off of him while he recovers from the Djinn poison. He puts it on again when he runs home to check on Lisa and Ben, but then changes jackets before they go to Bobby’s. In Two and a Half Men (6x02), Dean wears this coat when he goes to first meet Sam and the baby at night. I hope we see this jacket again someday, doubtful we will, but I can always hope. 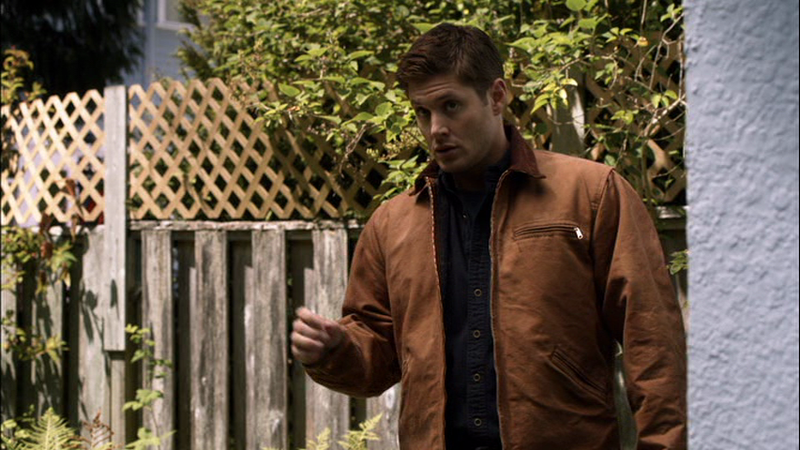 I really liked this jacket and it looks very smart on Dean. Yeah, it had a bit more of a "clean and polished" feel to it than Dean normally has - and given that it was primarily used in the "domesticated Dean" episodes, I don't think it's likely we'll see it again.